Officers from several police agencies, including Molalla and Canby Police, spent hours on Thursday searching for a suspect in the Molalla and Colton area. After a car chase, the suspect was arrested in Camas, Washington Friday. According to Clackamas County Sheriff PIO Brian Jensen, Nathanael Aaron Samuel, 26, of Sandy, is a suspect in multiple investigations. The search led police to Colton and Molalla, Jensen said, because they had received information that Samuel was in the area. Molalla Police Lieutenant Frank Schoenfeld said the Thursday search went on for several hours. Then on Friday, Jan. 11 at about 4:30 a.m., Samuel was arrested in Camas, Washington following a car chase in a stolen pickup, according to a press release from the Sheriff's Office. Oregon City Police had located Samuel at about 3:40 a.m. in the reportedly stolen white Dodge pickup, heading northbound on I-205 near Highway 213, per the release. Police attempted to stop him, but instead of pulling over, Samuel accelerated at a high rate of speed in attempt to elude law enforcement. Police pursued. 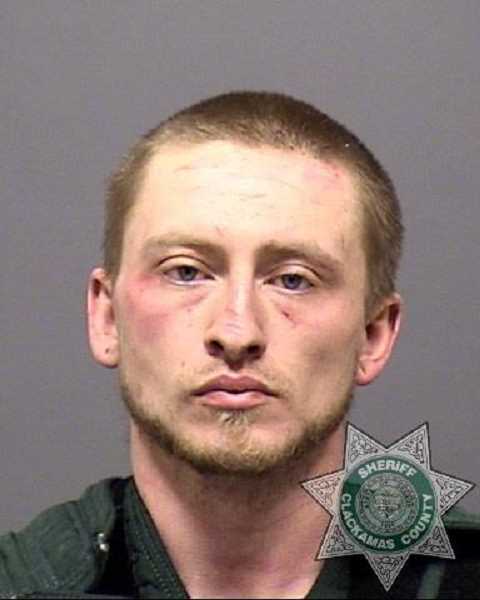 After successfully deploying spike strips to flatten the tires of the Dodge truck, police said Samuel crashed and then fled on foot into Camas Cemetery, where he was apprehended by a Clackamas County deputy. Samuel was booked and lodged in Clackamas County Jail on charges of unauthorized use of a vehicle, attempt to elude on foot, attempt to elude in a vehicle, reckless driving, reckless endangering, assault and a probation violation for possession of methamphetamine. Since Samuel is a suspect in numerous Clackamas County felonies, investigators are urging anyone with information to contact the Sheriff's Office tip line at 503-723-4949 or by using the online form at web3.clackamas.us/contact/tip.jsp. Reference CCSO case number 19-000835.